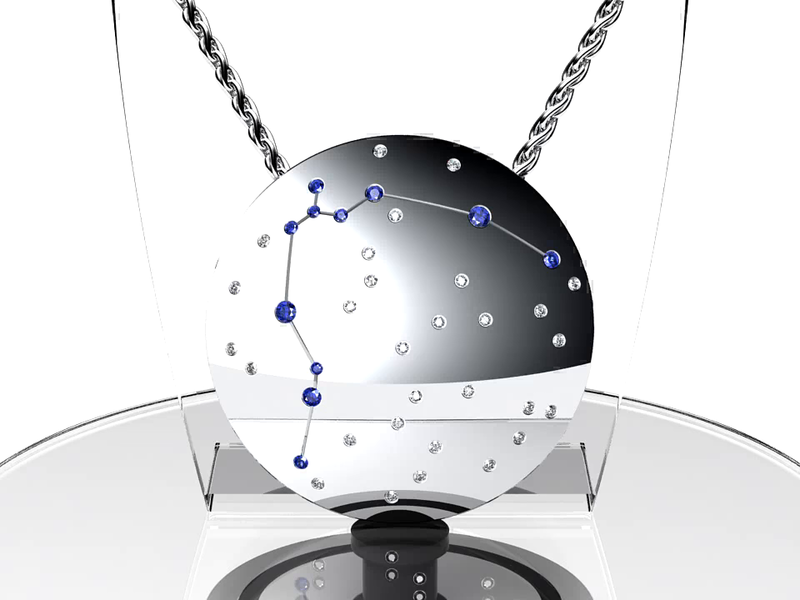 Pendant burnish-set with 40 round stones: 17 stones representing Pisces constellation and 23 round diamonds around. Pendant size: 30.0x30.0 mm. Total metal weight: 17.2 g.